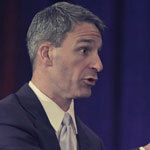 At a campaign event, Virginia gubernatorial candidate Ken Cuccinelli was asked if, as governor, would he "support and sign personhood legislation that contains restrictions on birth control medication and birth control devices." This Women’s Equality Day—the 93rd anniversary of women in the U.S. gaining the right to vote with the certification of the 19th Amendment—Dawn Laguens of Planned Parenthood Federation of America joined Congresswoman Gwen Moore (D-WI), Terry O’Neil of the National Organization for Women, and Fatima Goss-Graves from the National Women’s Law Center to discuss the current state of women’s rights and equality in the U.S.
Texas Senator Ted Cruz would rather spread intentionally misleading information, deny millions of people health care, and even shut down the government, than put aside his political agenda. So how is he spending the congressional recess? “My focus for the next 61 days is very directly targeted to one thing, and that is working to defund Obamacare.” If that doesn’t qualify him as the Gynotician of the Week, then we don’t know what else would. 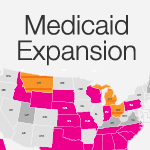 On Monday, women’s health had another victory in the courts, this time in Oklahoma. A judge temporarily blocked a new law that would have prevented women from accessing emergency contraception over the counter. In a last-ditch effort to spread misinformation about Obamacare, opponents are hitting the road on a “Defund Obamacare Town Hall Tour.” In each of the states they’re heading to, there are thousands of women and families who stand to benefit from the new health care law. 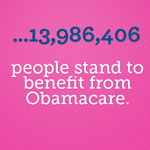 But do these opponents care about those benefits? Nope. This week's Gynotician was appointed to political office while she was a college senior, finishing her degree in Business Administration. 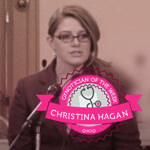 Three months into her first term, Representative Christina Hagan (R-Ohio) hit the ground running, pushing extreme and dangerous legislation that would restrict a woman’s right to make their own personal medical decisions. 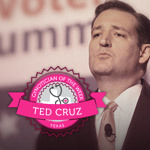 In June 2011, she took to the microphone during floor deliberation on the "heartbeat" bill —t hat could ban abortion even before many women know they are pregnant — and said, "I'm not only charged with the responsibility to be looking out for my generation, but also the future generations to come." North Carolina Governor Pat McCrory has hit a new low…literally. Governor McCrory’s approval rating has dropped into the 30’s, but is it really any surprise? 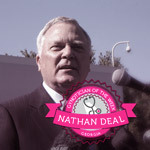 Like any good Gynotician, Governor Nathan “Back Door” Deal just couldn’t resist using women’s health and safety as a political tool. Deal has made it clear that he won’t let a little thing like the democratic process stop him from restricting access to health care: after Georgia legislators rejected an effort to ban abortion coverage in the state health plan, Deal’s allies used a back-door administrative route to do exactly that.